HomeMan UnitedWho Is Dayot Upamecano, The Latest Player Linked To Manchester United? Who Is Dayot Upamecano, The Latest Player Linked To Manchester United? Manchester United have been in need of a centre-back for some time now. We all know the story regarding Jose Mourinho and Ed Woodward, in which the former manager did not get his way. This January, Man United opted for a safe option of not disrupting the current team with some big transfer deals and Ole Gunnar Solskjaer continued working with completely the same squad as the one he inherited in December (minus Marouane Fellaini). But we are early into February and there are already reports regarding a possible transfer Man United could be making for a certain center-back. German Sport Bild have been telling the story, but as it seems, the Devils would have a truly devilish competition for this player. The player Sport Bild have been talking about is Dayot Upamecano. He is a French player who plays for German Bundesliga side RB Leipzig. 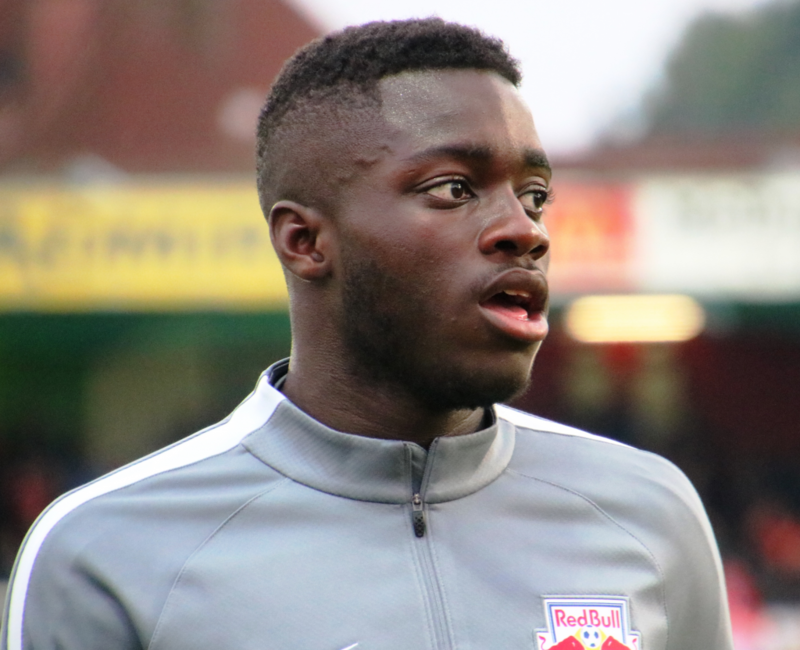 Upamecano turned 20 in late 2018, but has been a professional since he was 16. It was when he played for another team owned by Red Bull, Salzburg. Now, he is a standard player for Leipzig. He is 6 ft 1 in tall and already has 112 professional appearances by his name. Upamecano also played for all of France’s youth teams and his potential is a great one. The formidable center-back is one of the players biggest European clubs have been scouting for years, ever since he was 14 or 15 years old. His potential seems to be materializing well so far and no wonder teams like Man United and Bayern Munich want him. The Bavarian side is known for getting the best Bundesliga talent and they would definitely want for that to be the case again. There are so many of them. He is not freakishly tall, but his aerial prowess is known. His decent height gives him the opportunity to be slick with his feet, both with and without the ball. Upamecano is really fast and his pace can even get him out of unexpected problems. He is physically imposing too, even though he does not like the biggest player. Simply, his physical attributes are very well balanced. He is technically astute, as well. Upamecano is playing for Leipzig where playing with his feet from the back is a necessity. Therefore, United would be looking at a truly modern centre-back with at least a decade in front of him to play at the highest level. Sometimes, he could look a bit naive in his displays, especially in his early days in Leipzig. The other thing he should still be looking to improve is tactical positioning, especially when there are fast defensive transitions happening. The first problem is mostly due to him still being so young, while the latter part is definitely something that can be worked on. Should Manchester United Pursue Him? If they are ready to pay 87 million pounds, then yes. That is his release clause in the contract which will expire in 2021. He is definitely a very talented player and someone who can grow into a world class centre-back in the future, as he is still just 20. However, if United would be looking at centre-backs for both the immediate future and long-term, then there could be found cheaper options, most notably someone like Nikola Milenkovic from Fiorentina.